We Newfoundlanders know hard times more than most. Indeed, it seems to be the recurring groundhog day narrative that is being a Newfoundlander. We struggle, fall, rise and persevere, only to struggle again. Rinse, repeat, hope. We know plenty of strife and struggle and how to overcome, which is likely as good a reason as any to explain our unshakable sense of humour and willingness to embrace life and all her pitfalls. 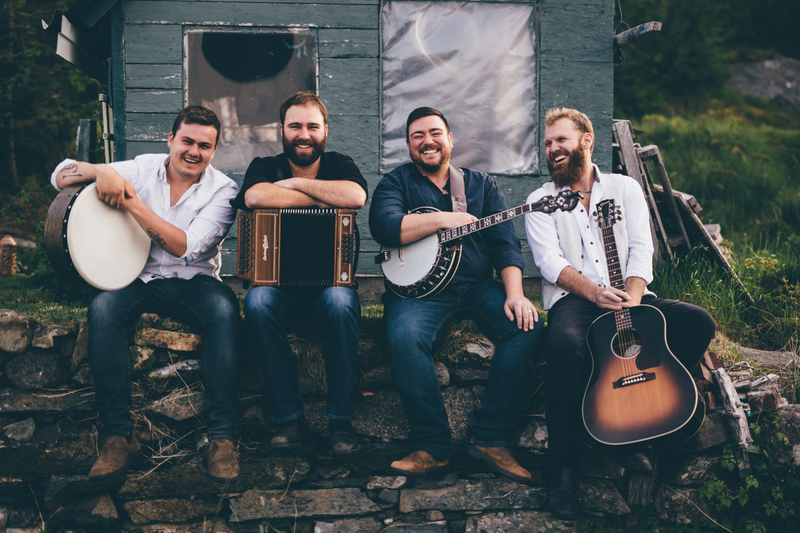 Enter MusicNL nominated trad foursome Rum Ragged, who have followed up their award-winning self-titled debut and Christmas EP with a sophomore effort that touches on the highs and lows of island living. “We were driving on the 401 and on the way back to Toronto to play and we realized that we had kind of mistakingly made a concept album,” Mark Manning shared to The Herald in a sitdown with fellow Rum Ragged members Aaron Collis, Anthony Chafe and Michael Boone. 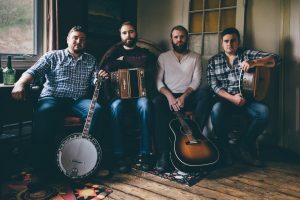 While much has changed for Rum Ragged – their fan base has grown, touring map widened and creative cross more fine tuned – little has wavered in terms of passion and pure enjoyment of performing and crafting music. “Being crooked is not a recipe for creativity,” adds Collis, getting a laugh out of the room. Banking another three nominations at the 2018 MusicNL Awards for Celtic/Traditional Artist of the Year, Folk/Roots Artist of the Year and Group of the Year, Rum Ragged head into the cooler months of the year riding a momentum that saw the band tour across Canada and abroad in 2018. The band will look to carry the momentum of yet another sharp and crowd-pleasing record into 2019, where surely bigger and better things will follow. “Hopefully the next album is the good times,” adds Boone with a laugh.